A moon base is destroyed by a spaceship with a cluster of gumballs on its head. Later, at Sea World, dolphins are dying mysteriously. Zigra kidnaps two men and two children (one of whom is a Coke addict - Coca-Cola that is) and starts causing earthquakes. The two six year olds somehow outwit Zigra and help their incapacitated fathers escape. The Zigra Woman, who can use her eyes to put people into comas, then chases them all over Sea World like an extended Benny Hill skit. 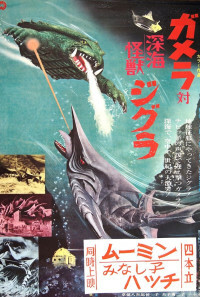 Somewhere in this movie Gamera finally shows up, fights Zigra, who turns into a giant swordfish. Regions are unavailable for this movie. 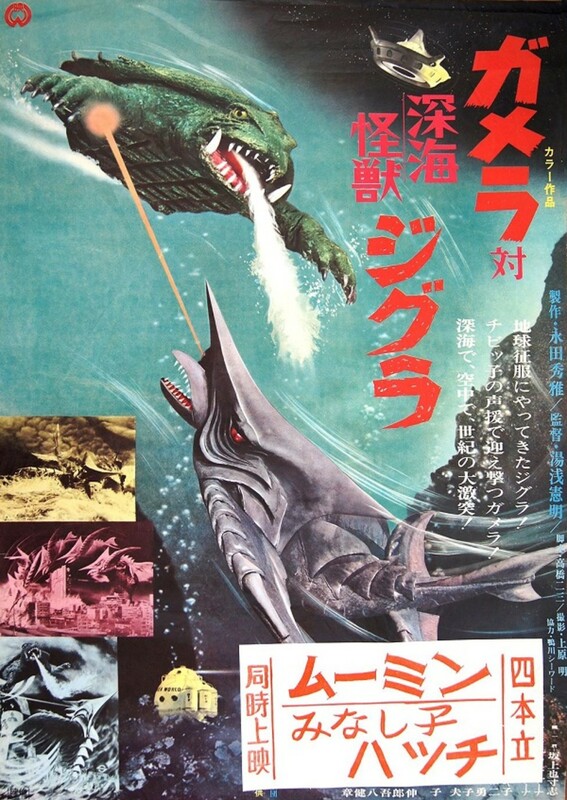 Click the "Watch on Netflix" button to find out if Gamera tai Shinkai kaijû Jigura is playing in your country.